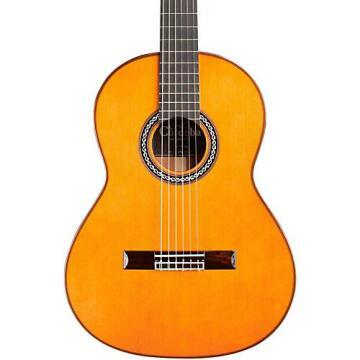 The Cordoba Mini SM-CE is the ultimate travel instrument, offering the playability of a full size nylon-string guitar in a compact, lightweight body with an impressively loud voice. This miniature guitar features a solid cedar top paired with spalted maple back and sides for a full, complex tone and exotic appearance. For those who want to plug and play, the Cordoba Mini SM-CE features a soft cutaway and Cordoba 2Band pickup. 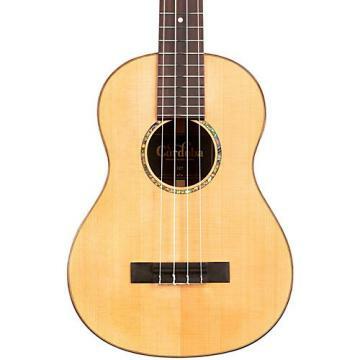 It has the comfortable feel and string spacing of a full size guitar, with its thin U-shaped neck, 48mm (1.89”) nut width, and 510mm (20”) scale length. The Cordoba Mini SM-CE is a perfect companion for road trips, vacations, and hanging out at home. It includes a Cordoba gig bag. Get a travel guitar that can go the distance. Order today. It's a cute and portable size, and certainly has a unique aesthetic. That said, the guitar that was mailed to me looks so drastically different in terms of color scheme, tone of the wood, and spalting.pattern that I find the advertised photo quite misleading. The guitar I received has dark, exotic streaks across the back and sides, with a pale front. This may be an appealing look to some, but when I was hoping for something similar to the photo posted, was disappointing. If you're up for a variation, and aren't too particular about how your guitar looks, give it a whirl! Light weight and nice padded case. 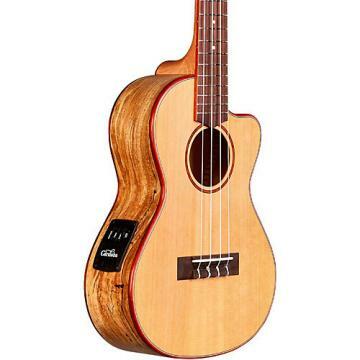 .I've had a Yamaha GL-1 "guilele" for several years. It's a cute little instrument but rather limited. I've been looking for something better of the same type for a while. When I saw this new offering from Cordoba and watched a couple of reviews on YouTube I bit as my "Big 7-0" birthday present. As usual from Custom Guitar's Friend, it arrived promptly and in great shape. This is a definite upgrade to the Yamaha and I've been enjoying it a great deal. The longer scale length and cutaway allow excellent access to the upper frets and make fretting jazz chords much easier. I'm primarily a fingerstyle jazz player. Fit and finish are very good... I found tiny, pinpoint glue extrusions on the underside of the fretboard/body join. Easily removed with an exacto knive. The stock strings are adequate but not stellar. I may replace them with one of the new "carbon" sets.... Haven't decided about the "E" tuning set yet. The pickup sounds great through my Cube 40 amp and was much easier to set up than my full-sized "crossover" guitar. I think the only thing I could ask for would be strap pins.... But those are easily installed. The gig bag supplied will protect from scratches and minor dings, but it's not very padded and the instrument fits "exactly".... Not much protection from bumps at either end. Overall, a fun, handy instrument that you could take anywhere. .The right size, stays in tune and easy to play. You can leave it laying around and pluck on when ever you pass by!